Castle Storage is a family run Removals & Storage company who have been operating for over twenty years. We are located in the Maidenhead area, and cover all local areas including Maidenhead, Windsor, Slough, Bracknell and all places in between. 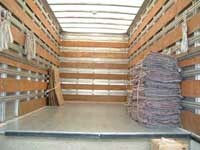 We offer a range of removal and storage service which are covered in depth in the relvent pages. We know that moving house can be one of the most stressful experiences in life, our team of quality staff will do everything we can to remove as much of that stress as possible. We pride ourselves in being reliable, professional and cost effective. Please browse through the site and if you cannot find what you're looking for then please contact us and we will be happy to help.